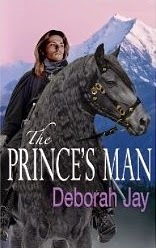 Enter the Kindle Fire Giveaway - Author Feature: Deborah Jay with "THE PRINCE'S MAN"
Award winning novel, THE PRINCE'S MAN, has been described as 'James Bond meets Lord of the Rings' - a sweeping tale of spies and deadly politics, inter-species mistrust and magic phobia, with an underlying thread of romance. Rustam Chalice, hedonist, dance tutor and spy, loves his life. So when the kingdom he serves is threatened from within, he leaps into action. Only trouble is, the spy master, Prince Hal, teams him up with an untouchable aristocratic assassin who despises him. And to make matters worse, she's the most beautiful woman in the Five Kingdoms. Enter the Kindle Fire Giveaway - Author Feature: Rebecca Hamilton with "THE FOREVER GIRL"
Buy "THE FOREVER GIRL" at Amazon for $0.91! Hello! I haven't been around for a while, and there are a couple of reasons. Firstly, I've been working hard on my next book. I was shooting for 30-40k. I'm currently in the 50,000's and still going. The editor's booked for December 2, so I have a hell of a week ahead of me. The second reason is I started a new blog. It's not much more active than this one's been, but I do intend for that one to be my main blog from now on. There'll be less emphasis on writing techniques, and more on what I hope readers/fans/potential fans would be interested in. I'll keep this blog up for archival purposes. Either way, I'm sure I'll see you around! Earlier in the month I was interviewed by Christopher Bunn, author of The Hawk and His Boy, The Shadow at the Gate and The Wicked Day, all part of The Tormay Trilogy. I'm reading the trilogy right now, so I was very excited to be involved in this. Christopher also has many other ebooks available. You can check my interview with him here. Are you a fantasy reader? Do you enjoy George R.R. Martin's ruthlessness, or Tolkien's epic scale? Christopher Paolini's adventures, or the magical world of Raymond E. Feist? 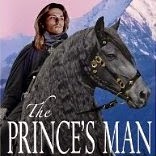 Do you love to read about knights, squires, kings and queens, elves, fae and all manner of creatures? Welcome to our fantasy blog hop! Here is a chance to find out about fantasy stories, and win books and gift cards! Summer is more magical already. Click here to reach the central page of the blog hop where you can use the rafflecopter and win the main prize: a selection of all ebooks and print books entered in the event plus a gift certificate! 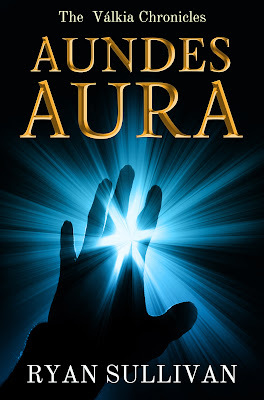 As for this blog post, I will personally be giving away two ebook copies of Aundes Aura to a random hat selection from those who comment below. And now for my contribution to the blog hop. What might be considered a kind of magic in the world of Aundes Aura is the very thing the book revolves around. An Aura is a god's gift; the gift of some amount of that god's power. Only one person can wield an Aura at any time. When the Descendant (as they are called) has had an Aura for seven years, there is a boost in power and terrible things have been known to happen. Here is a rundown of the gods, their responsibilities in the world, and what their Descendants might be able to do at the heights of their abilities. Elthades, the father of the gods: The Descendant can sense other Auras, block their use, mimic them when they're near, and live without aging. Careus, the god of time: The Descendant can see the future, the past, and events elsewhere in the present, and at the most extreme, travel through time. Kathes, the goddess of nature: The Descendant can control the elements at will, calling up a flame, destroying a building with a gesture, or causing a hurricaine. Aundes, the goddess of light: The Descendant can call a light to guide them through darkness, blind people with a flash, and flush out corruption. Maekre, the god of the passing: If the Descendant's skin touches any person or creature, the thing will die. Taemus, the god of dreams: The Descendant can read people's minds, as well as enter them and control them. Endáres, the god of war and peace: The Descendant has an uncanny ability in battle. Aundes Aura is the first standalone book in The Válkia Chronicles primarily involving a Descendant. I have ideas for at least 3 more, and hopefully the others will come along the way. They will all be named in the same fashion as Aundes Aura. As for right now, I'm writing a book called Three Bridges. It's about a king looking to redeem his throne, a thief striving for recognition after years of loyal service, and a young boy shamed by his family, trying to find his place in the world. Don't forget to comment for your chance to win one of the two available copies of Aundes Aura, and if you haven't already, check out the main blog hop page and enter the rafflecopter, for which the winner will receive all of the titles in the blog hop, as well as a gift certificate. Scrolling through Facebook today, I saw someone mentioning New Year's Resolutions. I thought this might be a good time to have a look at how my own resolutions are going. 1. Make the changes to Aundes Aura that will be suggested by the editor. 1. i. Publish Aundes Aura. All done! Aundes Aura has sold 13 copies so far (plus given away 285 in promotions), and I have a few great things planned for the next two months. 2. Write and publish a novella/novelette. As you can see in the sidebar, at roughly 23,500 words, Three Bridges is approaching what I'd happily consider the minimum novella length. However, chapter-wise I'm less than halfway through the story, whose exploration of character and setting is far beyond what I imagined. When it's published, regardless of whether it's an average or a long novella, I'll actually be calling it a "short novel", due to some advice I read on Joe Konrath's blog (A Newbie's Guide to Publishing). And if you've never read that blog, you'd better go do so now before I come over there and hit you. 3. Pass my Advanced Diploma of Music. I'm going quite well with most of my subjects. One or two I'm struggling with, but passing. 4. Not let take-away or other food get to me. Fail. I'm eating a family-sized packet of chips right now. Also, I usually eat Subway four times a week, KFC once every weekend, and snacks on a Saturday night. Do I get points for buying apple juice today? To temper all your excitement from Aundes Aura not being on sale earlier in the week, from today until next Wednesday the 26th of June, Aundes Aura is available for 99c. Get it here at Amazon US or from your preferred store in the United Kingdom, Canada, Italy, Germany, France, Spain, Japan, Brazil and India. Nadine Ducca's sci-fi book, Serving Time, is free for the 18th, 19th and 20th. So head on over and grab a copy! You read that right. Aundes Aura is not ON SALE RIGHT NOW, and you can get it for the full price of $2.99 here at Amazon US. Alternatively, for an equally not ON SALE price, you can get it from your preferred store in the United Kingdom, Canada, Italy, Germany, France, Spain, Japan, Brazil and India. Get it now, while the price is average. I should go to sleep before I sober up. Please head over to Nadine Ducca's blog and check out her interview with me about writing and Aundes Aura. Aundes Aura is free for the next few days to help get word out. If you know someone who might be interested, let them know. Today my wonderful editor Felicia A. Sullivan did an interview with me. Here's how it went down. 1. The first question is, are you tired of answering the same old questions in interviews? Not yet – this is my first interview since releasing my book. 2. Have you always wanted to be a writer, or did you just kind of fall into it? When I was seven years old, one day at school I wrote several little... stories on a whim. Since that day, I’ve wanted to be a published author. Last week, thirteen years later, that dream came true. 3. What’s your process? Do you have a set writing schedule, or do you wing it? I more or less wing it, but I’m aspiring to have a schedule so I can increase my productivity. As soon as I can, I want to treat writing like any other job – that means long, consistent hours. If I do this on a smaller scale first, maybe sometime in the next ten years I could write full-time. 4. What is your favorite genre to read? To write? Both fantasy. I really don’t dabble much, but one book that I sped through outside my genre was “The Curious Incident of the Dog in the Night-Time”. I actually read that faster than I read my usual fantasy. But don’t get me wrong, I’m a slow reader. 5. What was the first book you wrote, and how successful was it? The first book I wrote was Aundes Aura, and I released it last week. Since then, I’ve earnt enough money for a couple of coffees. 6. How do you spend your time when you are not writing? Do you have any interesting hobbies? When I’m not writing, I browse the internet and read about writing and publishing. I’m studying an Advanced Diploma of Music, so part of my spare time is also spent practicing piano. 7. Does your family support your writing dreams/career/goals? I still have to tell my mum, “I can do that in half an hour. Right now I’m working.” But they are very supportive. So supportive, in fact, that when I told them I’d published my first book, they got me a cake and a card. 8. How many books have you written, and which one is your absolute favorite? I’ve just written one so far, but I’m already well into the next installment, Three Bridges. What’s that thing everyone says? “My favourite book is always the one I’m working on.” That. 9. Do you read reviews of your books? How do they affect you, whether positive or negative? I don’t have any reviews yet, but I intend to read them. The negative ones may niggle at me, but I think it’s important to take pride in the positive ones, and take any good criticisms I can from the negative ones. One thing I have to remember is to never, ever respond to a review. 10. You know the last question always is: Do you have any advice for aspiring authors? So yeah, answer that, but then tell us (whether you write in the genre or not) your plan for riding out the zombie apocalypse. Advice for aspiring authors . . . finish things. You can’t earn anything from a half-finished project. My plan for riding out the zombie apocalypse . . . take a boat to the middle of the ocean. Aundes Aura is available on Kindle here at Amazon. "Aundes Aura" is now available at Amazon! Click to go to the Amazon page! Saera is afflicted. Seven years ago, while venturing into a cave behind a waterfall with her brother Eoin, she unwittingly absorbed the Aura of Aundes, the Goddess of Light, who cultivates war by making men blind to one another. Their father, the village blacksmith, languishes in the dungeons for refusing to fight in the Duthonian army, so the siblings must fend for themselves, begging for coin by day and stealing into houses for food by night. Meanwhile, the power-hungry Church Regency prepares an army for an all-out attack on neighbouring country, Meira. When the Aura reveals itself within Saera, the Regency pursues her relentlessly. She and Eoin take flight and with the help of Faine, a mysterious traveller they happen upon, they elude their pursuers. Making alliances they would never have dreamt of, they find themselves swept up into a struggle against the country they once called their own. Yes, it's happening! For some of you, it's been a few years since you first heard about Aundes Aura. For me, the thirteen years since I wrote my very first story have been leading up to this: the day I become a published author. The official RELEASE DATE for Aundes Aura is this Friday, the 7th of June. On that day, I'll post the cover, blurb and link here. In the mean time, you can subscribe to my mailing list for new books here. Alternatively, you can click on the "subscribe" link in my sidebar. You can follow me on Twitter here @RyanSullAuthor. And you can like my page here on Facebook. Welcome to The Dark Corner of the Mind. My name is Ryan Sullivan and my aim with this blog is to help others with their own writing, as well as to make note of some of my own writing endeavours. Here at The Dark Corner, Real Life is both our best friend and our worst enemy. Look to him for inspiration, but don't let him get in the way too much. If he does, bribe him with cookies. And the title of Annum Guard Book 3 is …. 20,000 Light Years - Final! 99 Cent Mysteries and Thrillers This Weekend! Hello to anyone still reading this…. Can't I Just Be Myself? Things YA has taught me. Walk in Their Shoes, Making Characters Real!